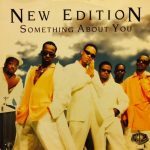 Song of the Day - New Edition "Is This the End"
I don’t know what it is about this song but it makes me wanna step side to side, snap my fingers and break out with a ” 5 Heartbeat Eddie Cane” performance on one knee. Is This the End is the epitome of puppy love gone wrong. The sting of that first heartbreak that feels like the end of the world and nothing else matters. One day you’re holding hands in the hallway and passing love notes between class. Then out of the blue, you get the pre-teen version of “it’s not you, it’s me” speech. 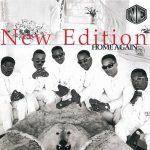 Yeah, puppy love ain’t easy but for some reason New Edition makes it sound so much better. 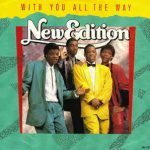 So for those of you reminiscing on that lost love, tip a bottle of liquor for the memories and enjoy this classic from their debut album, Candy Girl in 1983.